Sarajevo was founded in the early 15th century, at the junction of Roman roads in an area inhabited since the Neolithic Age. It was a time of expansion of the Ottoman Empire over the Kingdom of Bosnia, a time of great social and cultural changes. Ishak Bey Ishaković is regarded as a founder of Sarajevo – he was the first to build a mosque, a court, a bridge, and several public institutions - but the fact is that the city was established by native inhabitants of this region, Bosniaks, many of whom had by then already converted to Islam, a religion that came to this part of the world with the Ottomans. 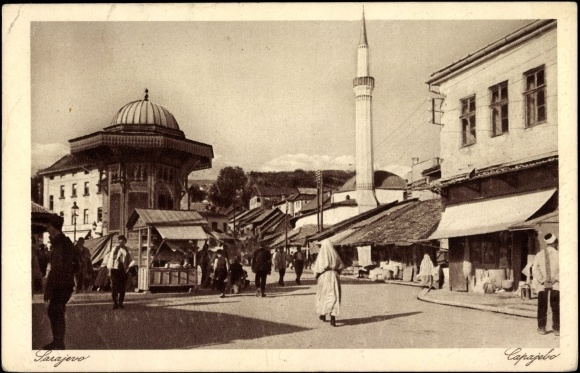 A rapid development of crafts and trade made Sarajevo a rich town, a crossroad of religions and cultures, trade routes, and all sorts of travellers. In the 16th century it was one of the most affluent cities in this part of the Balkans, and it was during this period that some of the monumental buildings were built which to this day represent masterpieces of the architecture and civilisation of that age. A higher education institution was also established under the legacy of Gazi Husrev Bey in 1537, which in almost all its aspects mirrored the universities of other large cities in Europe. Sarajevo has been a cosmopolitan city ever since it was founded. It was a place of refuge and settlement of Jews expelled from Spain in the 15th century, who built their synagogues, Orthodox churches, and then Catholic cathedrals were also built. In Sarajevo, there are different possibilities for entertainment and exciting social life. Performances, concerts and exhibitions are happening all over the city of Sarajevo, in theatre, galleries, and cinemas. Sarajevo has lately become a cultural hub and the debut film festival of the Balkan area, the Sarajevo Film Festival, is one of the biggest cultural festivals of Bosnia and Herzegovina. Sarajevo Winter Festival is a meeting point of artists across the globe and is an integral part of Sarajevo. Sarajevo Jazz Festival held every year in the month of November has popularized jazz to quite an extent in the city. Baščaršija Nights, an annual event, is the biggest festival in Sarajevo, Bosnia and Herzegovina. People are treated with month-long performances of culture, music, dance and exhibitions. Citizens of different nationalities and religious backgrounds have lived and worked together to forge a multicultural city which absorbs different heritage of the East and the West. That is why the city today is often referred to as the European Jerusalem. Sarajevo is known for its multiculturalism, in which there are 100 mosques for prayer, as well as several Catholic and Orthodox churches, cathedrals and synagogues. Traditionally, the local food is based on meat and potatoes. 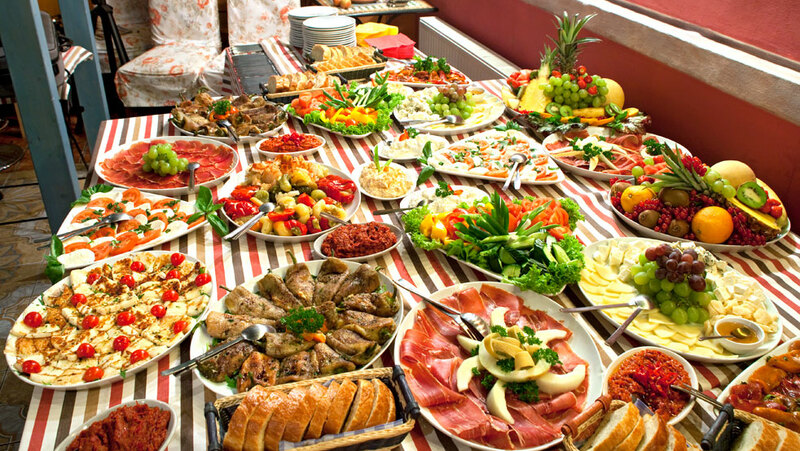 However, you may come across some great Sarajevo Vegetarian Restaurants. A traditional Bosnian meal typically consists of dishes such as sarma, begova corba (chicken stew), stuffed peppers, teletina (veal) and sitni cevap (veal stew). Rice and pasta dishes are popular. Trahana is a traditional sourdough soup which is handmade and a staple food during Ramadan. Cevapi is another traditional dish in Sarajevo made from grilled minced meat served with bread and chopped onion and is a very popular local fast food. Pita is also a popular dish and is basically a filo pasty pie with different fillings such as meat (burek), cheese (sirnica), cheese and spinach (zeljanica), spicy potato (krompirusa) and pumpkin (tikvenica). Pita eaten with yoghurt sauce is a nice combination. Fast food places serving pita are very inexpensive and prices range from 1 to 3 €. Other fast food such as pizza, hamburgers, hotdogs and Pannini sandwiches are also available at fast food restaurants and kiosks in Sarajevo.